Write an article that will showcase your creativity and empower the minds of our students and readers. Learning Quran, Arabic, Tajweed, Memorisation etc. 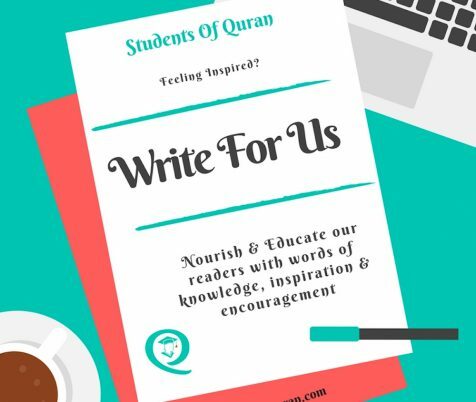 When writing your article, remember your aim is to encourage, inspire and motivate students and readers in their education of learning the Quran and Islam. The post should not sound textbook but written from your perspective reflecting on personal experiences aiming to engage with readers. The content of your article should leave the readers inspired with positive lessons they can take away. Written Words should be between 700 – 1200 words. Your article must be original and never published before. Any plagiarism will be rejected. Students of Quran will attain copyright of any articles published – you will not be able to post the article on any other site or print. 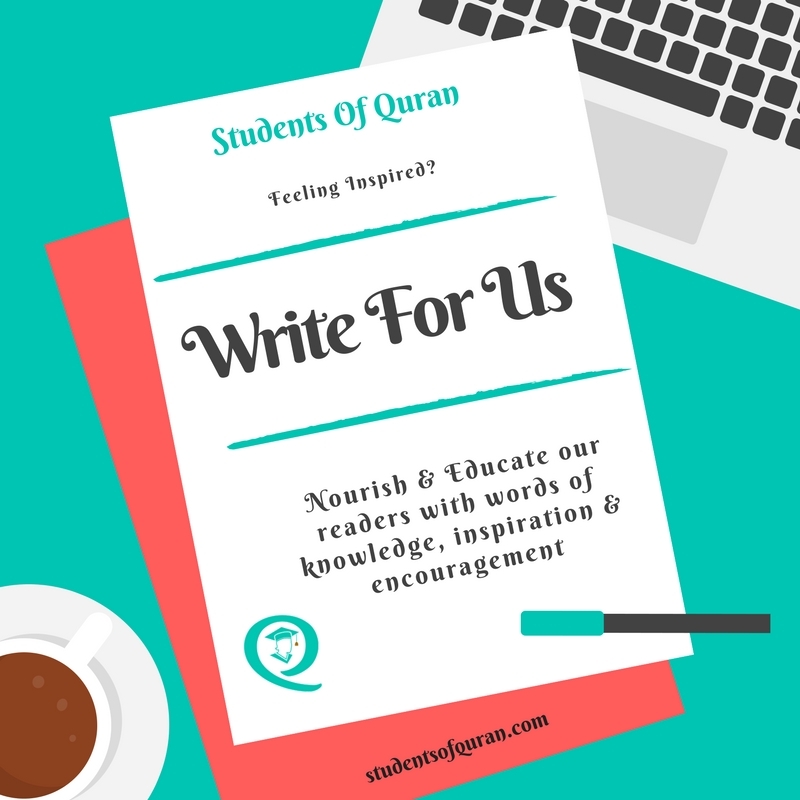 Students of Quran will reserve the right to publish your article to other sites. Any Quran and Hadith quotes should be authentic with references. Use Sahih International and Sunnah.com for your Quran and Hadith references. If you have a blog or website, you may provide one link to your About Page. This will be displayed at the bottom of the post along with your name. If selected your article will also be shared on social media (Facebook, Twitter, Google+, Instagram.) via the email subscriber list. No Affiliate links or advertisement for your products or sponsored posts. Students of Quran reserves the right to submit affiliate links, media and images. I may include an introduction or/and conclusion to your article to inform readers as to why I think the post adds value. Such introduction or/and the conclusion will be separate from your main article. Good use of English grammar, spelling, and punctuation required. The document should be written in Word or in an editable format. Any articles that you have written and submitted does not obligate it being published. Only articles that I believe add value to readers will be published. Complete and submit the form below. We will then contact you to discuss your submission. Write a small intro about yourself.